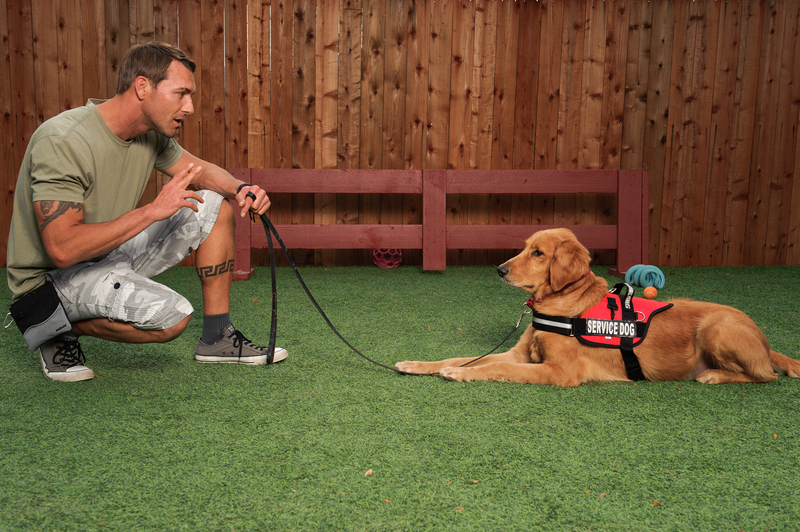 After collaborating with Mike Herstik to train a service dog for a young disabled veteran named Tyler Jeffries, Brandon and Mike realized there was a shortage of highly trained dogs to assist veterans perform complex daily tasks. Having been given prosthetic legs at Walter Reed, Tyler was still having trouble functioning in everyday life. Together Mike and Brandon got together to train, “Apollo”, a service dog, to help stabilize Tyler’s balance walking up stars, and picking up and carrying dropped objects for Tyler. 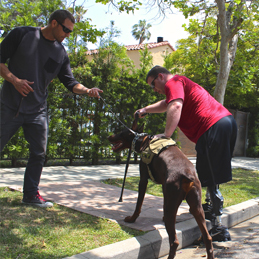 After the initial training in Los Angeles, Brandon, Tyler, and Apollo returned to Walter Reed to complete the final phase of transitional training. 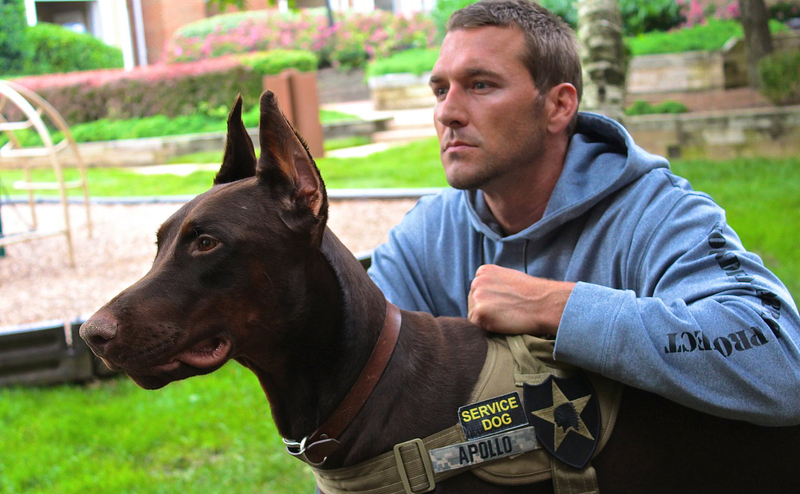 While at Walter Reed Brandon was swamped with requests from other disabled veterans who wanted to know how they too could have a service dog like Apollo. 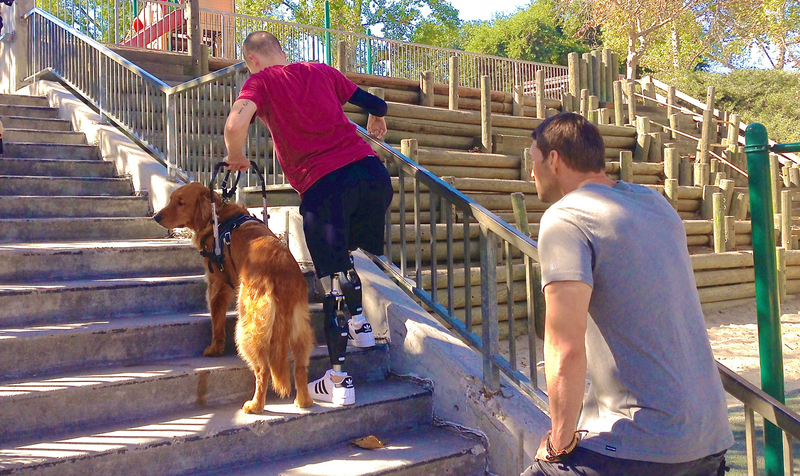 This experience motivated Brandon and Mike to found Argus Service Dog Foundation. Argus is in large part about vets helping vets. To this end it is their plan to establish a vocational program for veterans, to recruit and teach veterans to become certified service dog trainers. As part of this plan veterans will be taught to train service dogs and work closely with their disabled veteran brethren who receive them. Brandon trained, “Apollo”, to help stabilize Tyler, a purple heart recipient, balance walking up stars, and picking up and carrying dropped objects. Brandon with rescue dog Sandy, who he trained specifically for serviceman Tim, who is a Marine Corps Purple Heart recipient. 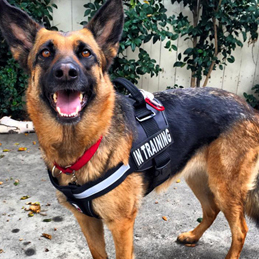 Brandon trained Kyrie, a rescue German Shepherd, for a disabled veteran suffering from PTSD.